a poster put up by MKP, at a suburban rail station, advocating people not to vote for any party and to execute the right to reject them all. though it’s a low budget and low key effort, it’s appreciable nonetheless. what we should be fighting for after a new govt forms, is a full fledged right to reject instead of a dummy ‘none of the above’ option on voting machines. 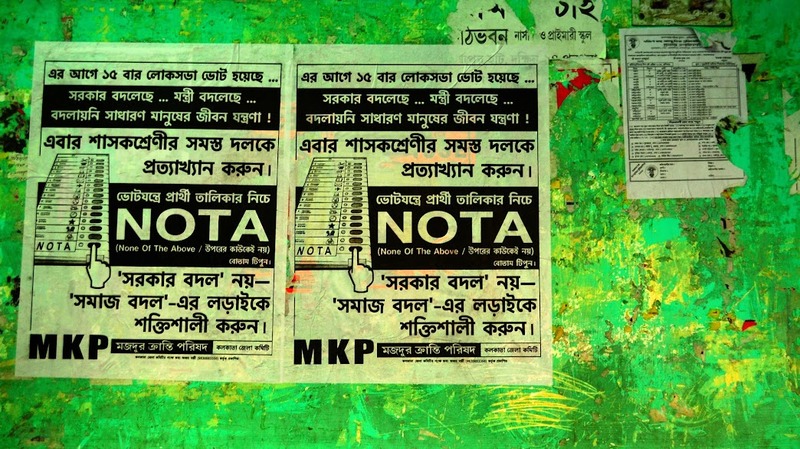 wherever ‘NOTA’ gets a majority, there should be presidents rule for a few months, followed by re-election, and none of the old contestants should be allowed to contest in the re-election. Stairway to heave..rats,who am i kidding, since when was there a heaven? ..stairway leading to the top of a dilapidated lighthouse.